As part of my Ph.d. work I have been working with simulations on real cell geometries. The geometries are obtained from microscope images by use of the Chan-Vese algorithm. 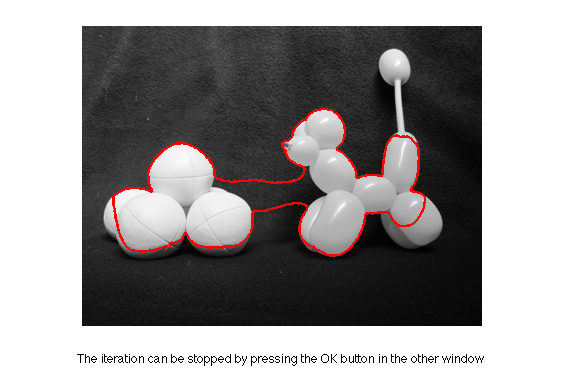 The Chan-Vese algorithm is used for image segmentation and in contradiction to other models the Chan-Vese model does not depend on the gradients on the image, therefore it would also be able to detect multiple objects on more blurred images. I worked with and implemented the Chan-Vese model in my Bachelor project, it is based on the principle of minimizing an energy function, which contains different fitting and regularization terms. You can see an illustration from the project below or find the project here: Bachelor thesis.